Sadie Williams was presented with the task of opening London Fashion Week for fall 2016. 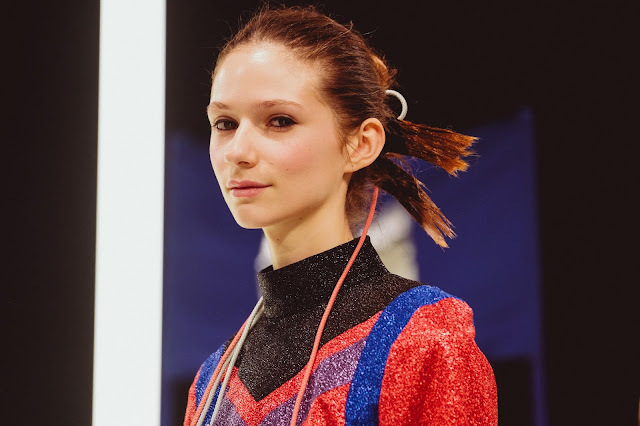 The Central Saint Martins graduated in 2013, displayed her work in the window of Selfridges for their Bright Young Things initiative, designed an outfit for Barbie, and collaborated with & Other Stories. In the three years that she’s been working, Sadie Williams issued two collections from her eponymous label, this season marking her fashion week debut. 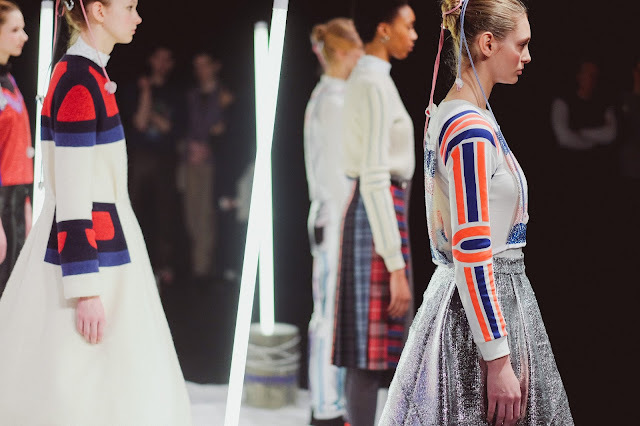 Christening the week, debuting her fall collection, Sadie went ‘Off-Piste’, as the collection’s title would imply. Inspired by photographs of her parents on ski holidays when they were younger, Sadie’s collection was romantic from the outset. 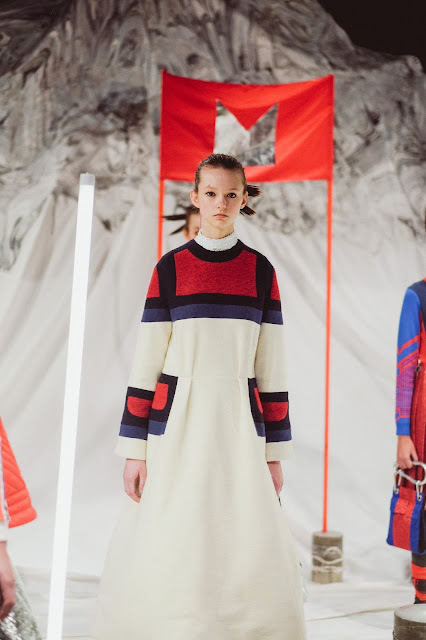 Merged with old-school skiwear, there was a kitschy fusion between the two reference points. 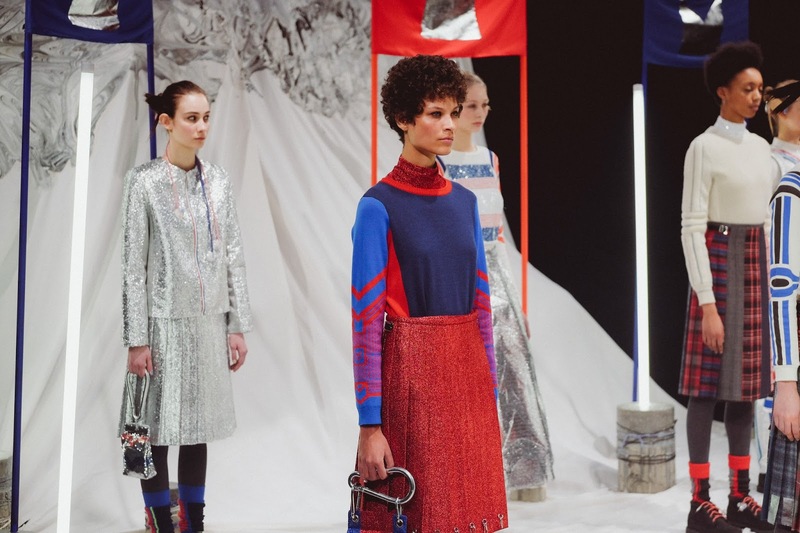 Lurex jackets and pleated skirts glistened silver, against a ski slope backdrop. 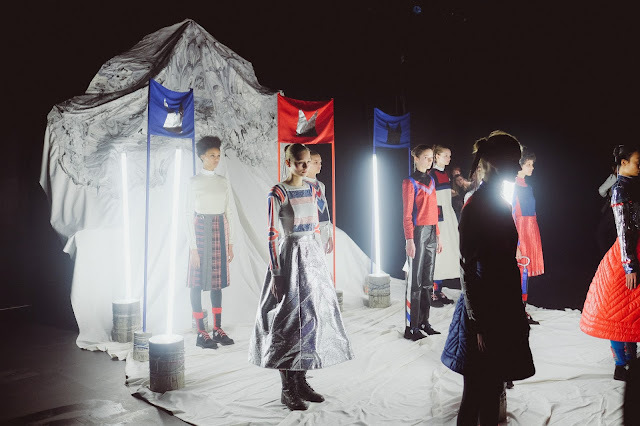 A pleated checkered, patchwork skirt was styled with ski undergarments to combat the temperatures—the Highland kilts appeared elsewhere in the collection, in rebellious red and silver lurex. 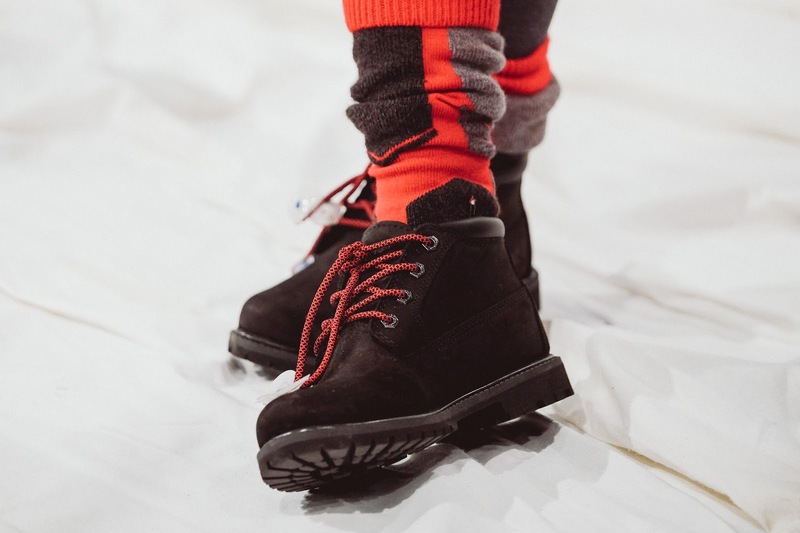 Clothes are accented with hiking ropes, or shimmering embellishment resembling the sun’s rays beating down on the snowy mountains. In the models’ hair too, hiking ropes and windswept ‘dos contribute to the ski slope imagery. 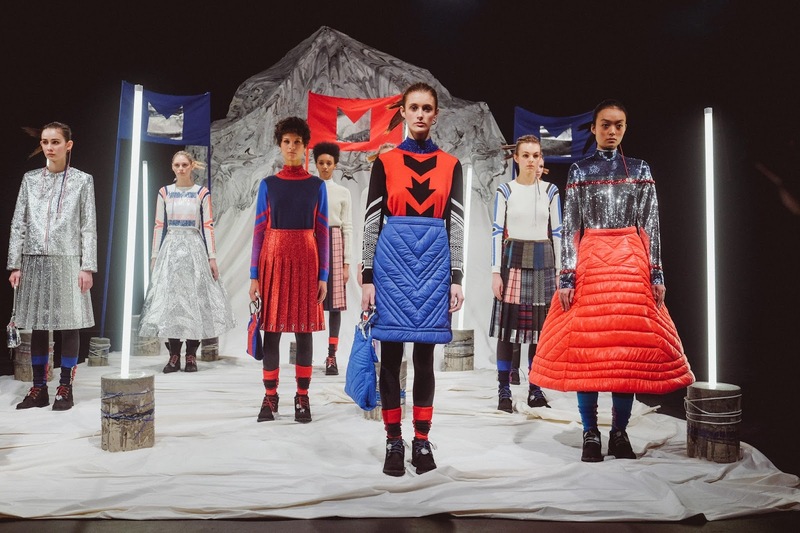 Wadded ski-jackets that were transformed into A-line skirts was the most fascinating aspect of Sadie’s textural prowess. 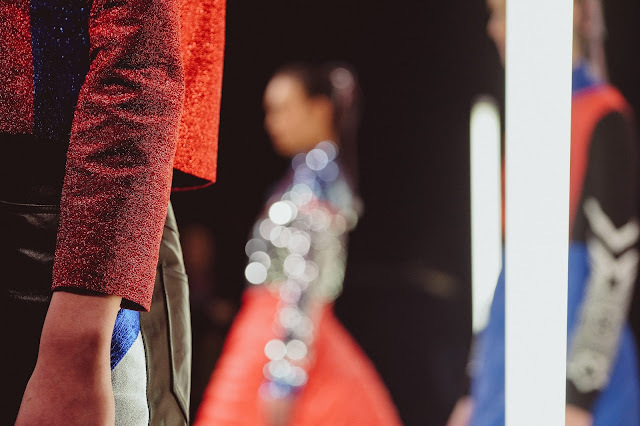 Styled with sparkling sequins, the looks were enriched. 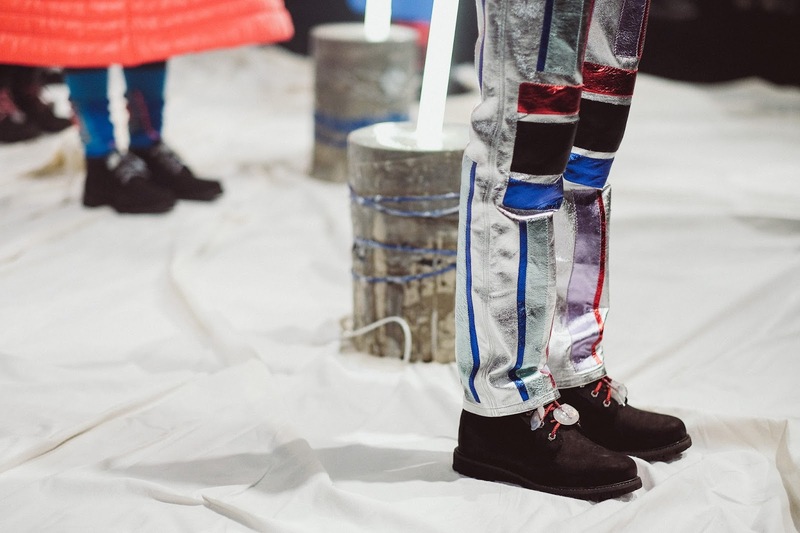 Similarly, her father’s leather trousers played an influential role in the collection’s realisation. They were registered as metallic trousers, that maintained the skiing theme. The slalom background was painted by artist Safia El Dabi; Marland Backus provided industrial elements that are embedded with poles of white-light. Art director Joseph Bond was responsible for the overall realisation of the set. The “shivery soundscape” of the polar winds that lash the slopes, and the sub-zero textures complete the presentation in a dizzyingly immersive fashion. This partnership proves, time after time, that young designers are better off with presentation settings to fully realise and convey their visions. Sadie’s work would’ve been lost on the catwalk; here, however, it is marvellously presented.